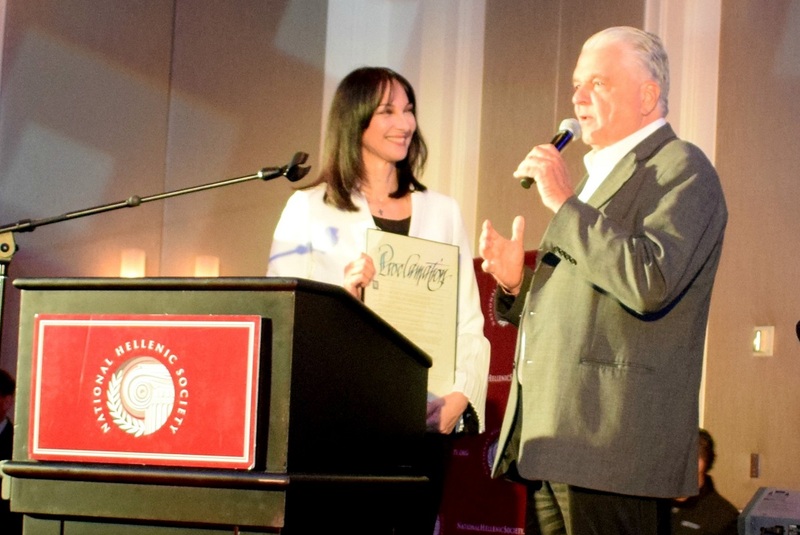 Tourism Minister Elena Kountoura received the award from Steve Sisolak, Chair of the Clark County Commission (Nevada). Tourism Minister Elena Kountoura was awarded by the National Hellenic Society (NHS) on occasion of the annual Heritage Weekend & Classic held last week in Las Vegas. The association, aiming to preserve Greek heritage through the sponsorship and initiation of programs that support Hellenic culture, awarded Kountoura for her efforts to foster stronger ties between Greece and the US in the field of tourism, and to increase tourist flows between the two countries. Elena Kounoutra participated in the NHS Women’s Forum. Addressing the event, Kountoura presented her vision and the goals achieved thus far through the ministry’s tourism strategy which has led to the sector’s positive performance and to Greece’s strong international presence. Kountoura underlined that ministry efforts to reach out to the US market have paid off, resulting in a double-digit increase in the number of visitors to Greece over the 2015-2017 period, and a rise of more than 30 percent in 2018. The minister went on to stress the important role of the Diaspora Greeks in preserving and spreading Greek heritage abroad, noting that they are the country’s greatest ambassadors. 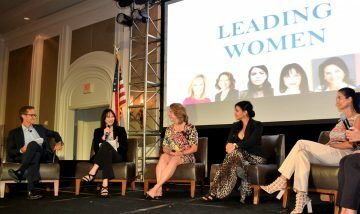 Kounoutra was also keynote speaker at the NHS Women’s Forum, where she referred to the role of Greek women in the preservation of Greek heritage. She also attended a workshop on tourism to Greece, where she met with sector professionals and US tour operators. Furthermore, she held meetings with Congresswoman Dina Titus, Atlantic Bank president Nancy Papaioannou, and financial advisor Bettina Kallins.